Aromatherapy has wonderful benefits for people, but did you know it can also be highly beneficial for your pets? 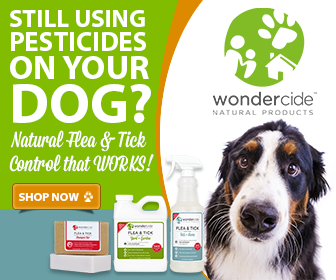 That’s why Wondercide Flea & Tick Control for Pets + Home is made with therapeutic-grade essential oils and is specifically formulated to be aromatherapeutic for dogs and cats. 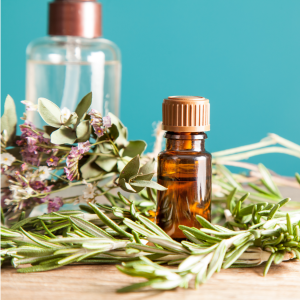 To help you learn a little more about aromatherapy for pets, we spoke with “Essential Oil Vet” Janet Roark, DVM about why aromatherapy should be integrated into your pets’ holistic lifestyle and the difference between aromatherapeutic essential oils and synthetic fragrances. 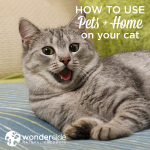 Note: The answers contained in the following interview are for informational purposes only, do not constitute veterinary advice, and are not to be substituted for an actual visit with your pets’ holistic veterinarian. As with any new therapies or products for your pets, please refer to label instructions and consult your veterinarian as needed. Wondercide (WC): What are the benefits of using aromatherapy for pets? 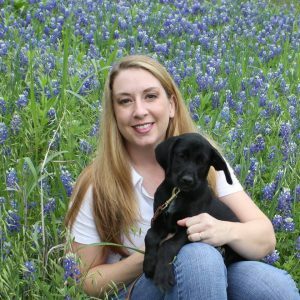 Janet Roark, DVM (JR): Pure, therapeutic grade essential oils (EOs) can offer many benefits to pets, including emotional benefits, as well as physical benefits, since the olfactory system is directly connected to the limbic system, which affects behavior and emotions, as well as the hypothalamus, which regulates the endocrine system. Therefore, just smelling EOs can be very therapeutic. Because EOs are lipid-soluble, they can be absorbed into cells through the cell membrane if used topically. This is one of the reasons they are so powerfully effective. Since they are distilled from plants, and no two plants are the same, EOs do not show the same bacterial resistance as some of our synthetically-made therapies. This is very exciting as a scientist, knowing that we have one more tool in our toolbox to combat difficult-to-treat conditions, simply by enhancing an animal’s own immune system through a natural approach. These oils help at the cellular level to return the body to homeostasis. WC: In what situations do you use aromatherapy for pets? JR: You can use aromatherapy for a vast assortment of physical or emotional support, as well as to help with pain management. I recommend using aromatherapy for all pets! WC: What’s the difference in effect when pets smell aromatherapeutic essential oils vs. synthetic fragrances? JR: The majority of compounds found in synthetic fragrances are derived from petrochemicals: phthalates that disrupt normal hormonal activity and may cause different types of cancer, as well as benzene derivatives, and a whole host of chemicals that are toxic to animals – especially our smaller pets – and are known to cause allergies, birth defects, nervous system disorders, and all sorts of other problems. There are so many fragrances in products today, which are used to cover up the otherwise “chemical” smell of the product you are purchasing – this includes shampoos, colognes, laundry detergents, dryer sheets, air fresheners, scented candles, and so many other things you might not even think about. Some “essential oils” may even contain these synthetic fragrances – which is why the brand you buy is so important. Most EOs sold in grocery stores are not safe to use around pets. So, it’s very important to be educated about what you are purchasing, and to purchase an EO that is actually therapeutic rather than just a nice-smelling thing that might actually be harming your pet! What are some ways to get your pets used to aromatherapy? Start slow, introduce oils with a water-based diffuser at first, in short increments, and then gradually increase the duration of diffusing. If using topically, use a 0.5% – 1% dilution to start out with, and apply the diluted EO more frequently rather than using a stronger concentration less often. Try to make it a positive experience with lots of praise and rewards like treats. We were so glad to have the opportunity to talk to the “Essential Oil Vet” and learn about the different ways you can integrate aromatherapy into the lives of dogs and cats! Have you tried aromatherapy with your pets by using Flea & Tick Control for Pets + Home or by diffusing therapeutic-grade essential oils in your home? We’d love to hear about it in the comments! I purchased a $200 home package of Wondercide and started by lightly spraying our two cats and our dog. I was frankly horrified at how strong the smell was and how long it stayed on my hands even after washing them. I have not used any of the product since. It’s not that I am worried that it will hurt them, it’s just that the smell overpowers any other scent. I know 40% of a dog’s brain is connected to their sense of smell. When we take our dog for walks she has a smell fest – she loves smelling everything. I don’t want to take that away from her. If she is wearing Wondercide I don’t see how she can smell anything else? I was relieved to read this article about aromatherapy to find out that the smell is actually beneficial for pets. But can you please address how it affects their natural ability to smell anything else with that strong scent all over their body and in their environment? I have the home & yard spray but not sure I want to use it as the smell will be EVERYWHERE and it is strong! Thanks so much for your question and interest in Wondercide! I hate to hear that you thought the smell was overpowering. The aroma is very important to the effectiveness of the product as that is what provides the by contact kill and repellent qualities. The cedar oil is what blocks the pests receptors, which stops their ability to do things such as breathe and regulate their heartbeats, providing the kill. When sprayed directly on your pet the smell should dissipate after a few hours. You could also try a different fragrance if you would like. We offer cedar, rosemary, and lemongrass. The outdoor product does have a high amount of cedar oil in it, but it is a concentration and is meant to be diluted. When applied in the correct dilution, the smell would lessen after a few hours outside as well. It will erode the life cycle to kill and repel any non-beneficial insect. I hope this helps! If you have any other questions or feedback we would love to hear it. We are always happy to lend a paw! Thank you for reaching out. The essential oils used in our products are phenol-free, which makes them absolutely safe for our feline friends. It’s important, as you know, to dilute essential oils when using on animals, and ours are phenol-free in addition to being diluted. Wondercide was born when our founder almost lost her dog to pesticide poisoning, so our customer’s pet’s safety and well-being is our #1 priority. We keep records of any reaction reported and our reaction rate is less than 1% of the thousands of orders we send out every month. (Reactions are typically something like excess salivation, or foaming at the mouth, which sounds quite serious but is actually a result of excess saliva forming from ingesting excess of an oil based product.) We take all feedback on board, though, so thank you for taking the time to share your concerns with us! I hope this clarifies things, but please let us know if you have any other questions. Thank you again for your question!